Direct Mail is a macOS app that features a suite of powerful email marketing tools, including: a fun and easy-to-use email template editor, mailing list sign up forms and advanced list management tools, and insightful campaign analytics reports. • Create automated campaigns that send without you having to lift a finger. Great for nurturing business leads, sending reminders, or training courses via email. For the past 15 years, Direct Mail has helped individuals and small- to medium-sized businesses connect with customers, grow their bottom line, and expand their reach. 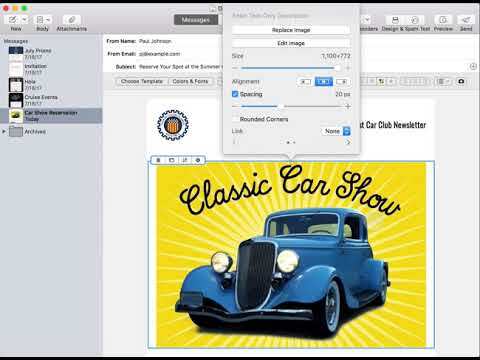 Many of our customers choose Direct Mail specifically because it is a native Mac app instead of a web-based solution. This key difference lets our customers use the full power of their Mac to work how, when, and where they want, instead of being tethered to a slow web browser, where trouble can be just one bad internet connection (or one accidental tab closing) away. One time purchase ranging between $30 and $100, and / or subscription that costs between $15 and $150. Price may vary depending on commitment and so on. Direct Mail was added by jhammer in Dec 2017 and the latest update was made in Dec 2017. The list of alternatives was updated Mar 2019 There is a history of all activites on Direct Mail in our Activity Log. It's possible to update the information on Direct Mail or report it as discontinued, duplicated or spam. Alternatives to Direct Mail for Web, iPhone, Windows, iPad, Android and more. Filter by license to discover only free or Open Source alternatives. This list contains a total of 25+ apps similar to Direct Mail. No reviews yet for Direct Mail, want to be first? Maybe you want to be the first to submit a comment about Direct Mail? Just click the button up to your right!